Pasta sauce out of a jar or can? Ick. In addition to being full of nasty preservatives, the pre-made stuff lacks soul. 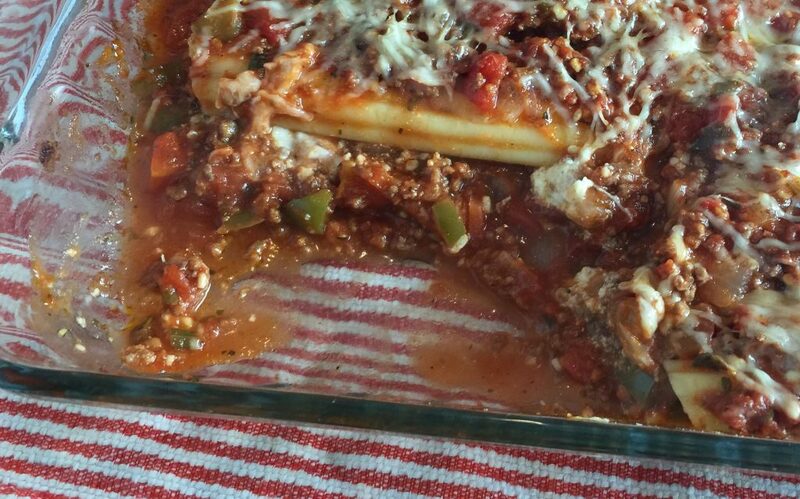 If you’re a fan of chunky, veggie-filled, and meaty sauce for your spaghetti, manicotti, and other Italian meals, give this recipe a shot. Yes, it takes a lot more time than just grabbing something from the pantry, but it tastes so much better. Also, you can double or quadruple the recipe and freeze (or can, if you’re into that) the leftovers for later use. Brown beef. Drain, if needed, then add onion and pepper and cook until vegetables are translucent. Transfer meat mixture to large sauce pot. Add tomatoes, sauce, garlic, seasoning, salt, and pepper. Cook over low heat for at least one hour, allowing flavors to meld.